The stage has counted with the research collaboration of the Universitat Autònoma de Barcelona (Geography Department. Dr. Françoise Breton, the SGR INTERFASE research group), the University of Tromsø (Faculty of Biology Fishery and Economy. Dr. Svein Jentoft, the MARA research group. The Sami Center), the University of Svalbard (Biology Department. Dr. Øysten Varpe) and the Svalbard Museum (Dra. Tora Hultgreen). – Institute of Marine Research, Norway (IMR): Dr. Hoel Hålf Hakon, Dr. Tore Haug (IMR Tromsø). Dr. Nils Øien (IMR Bergen). – Foundation for High North Research Center for Climate & Environment of Tromsø (FRAM): Dr. Einar Eythersson. – North Atlantic Marine Mammals Commission (NAMMCO): Dra. Geneviève Desportes. – NRK radio-TV: Per Kristian Olsen. – Norwegian Institute for Nature Research (NINA-FRAM): Dr. Per Fauchald. – Arctic Council and its Working Groups: Marine Mammals Working Group (MMWG), Flora, fauna and biodiversity (CAFF), Protection of Marine Environment (PAME), Sustainable Development Working Group (SDWG). – Norwegian Whaling Union: Truls Soløy. – Whalers families of Lødingen (Lofoten Islands): Alf Hansen, Anne-Helen Hansen, Lisbet Kristin Hansen. – The whaling Ellingsen firm: Ulf Ellingsen and family. – Svalbard Integrated Arctic Earth Observation System (SIOS): Dr. Ole Jørgen Lønne. – Norwegian Polar Institute (NPI): Dr. Kim Holmén. 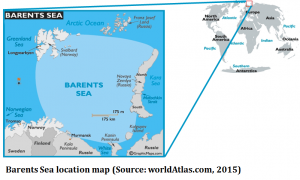 – Barents sea MSP at the NPI: Dr. Cecilie von Quillfeldt. – Whales Safari of Andenes: Daniele Zanoni. The method for quantifying anthropogenic pressures, as presented in this test, can be seen as a useful tool for MSP and the implementation of the EU MSFD in the Barents Sea. It can be reproduced for other marine mammal species as well as anthropogenic pressures. Most of the included data sets could be improved in collaboration with Norwegian institutes. This kind of test should be discussed with whalers and whale scientists to see how to integrate LEK and scientists knowledge in this mapping and modeling exercises. Other activities that local controlled whaling has more impact on the future of whale (water contamination, accumulation of contaminants along the food web, presence and planned increase of oil platform and navigation routes, etc.). If whaling of Minke continues to be managed as it is with an important shared of whalers and scientists, the sustainability of this species is not endangered. Other anthropogenic impacts such as water contamination, presence and plant oil increase, navigation routes, and tourism cruises could be more dangerous for mink whales and for other whale species. Most of the interviewed people perceive that “it will be more and more difficult to fish if big oil business, aquaculture and opening of new navigation routes without to say the climate change impacts”. 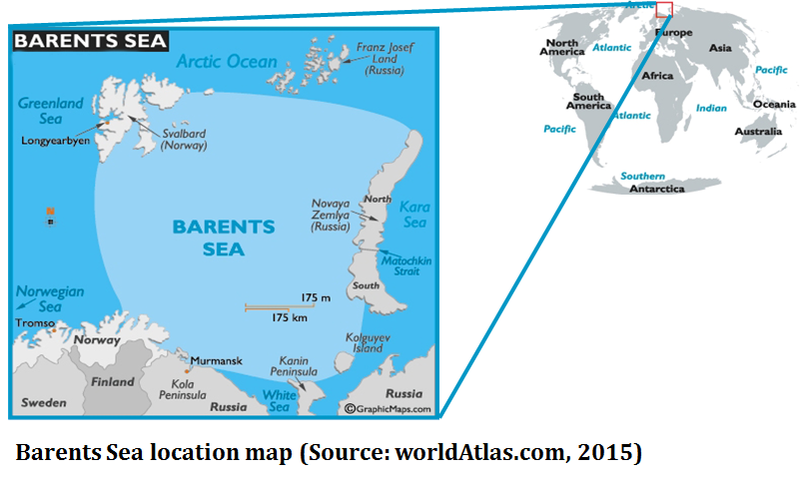 The participation of fishermen communities (including whalers) into MSP making and ICZM would be an important milestone for a better management of the Barents Sea. There is an important common idea that whales should be at the center of the MSP decisions and their corridors should be protected. 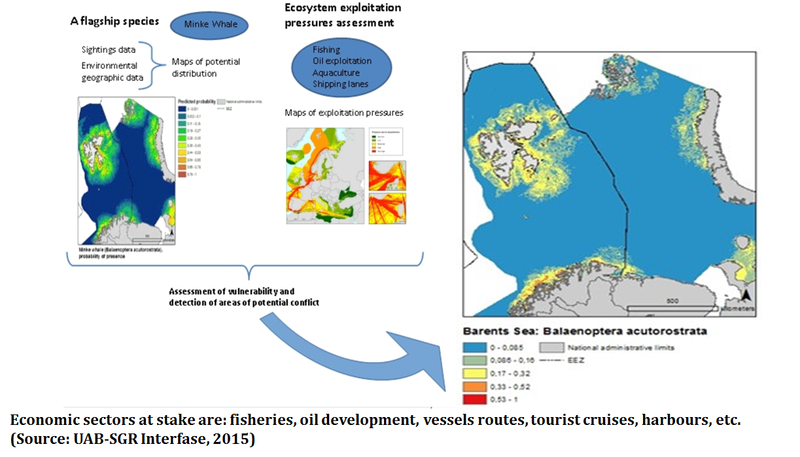 Fishermen communities and their inhabitants express in the future vision the fact that they want to play a more important role for the conservation of Barents Sea socio ecosystems (in an ethic way). Exploring how society envisions whales’ vulnerability, today and the potential situation tomorrow, identifying those conflictive issues among the main economic sectors in Norway and the major climate change threats that compromise whales’ survivals a main challenge for Arctic local communities and countries. Our research brought new lights on what are the place, role and future of marine mammals, looking for the perception of local communities and their local knowledge which is especially important, in such a complex and rapid changing Arctic region. The NILS research stage in the Arctic region of Norway has contributed to the fruitful development of the scientific and academic activity, results and opportunities. 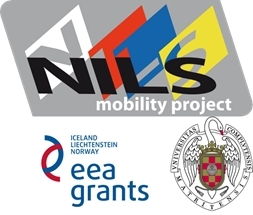 It has opened future collaborations for searching NILS and other cooperation funding programs, among the UAB and other Arctic institutions, like the University of Akureiri, to continue the work done in Iceland, the Feroe islands and Greenland now with the Inuits local communities. UBACH, R.; MARÍN, A.; BRETON, F. (UAB) (2015). Test on whales’ vulnerability. Mapping and modelling potential distribution of key whale species and pressure maps. NILS Science and Sustainability Program. Universitat Autònoma de Barcelona, Bellaterra – Spain. November 2015.